In 1728, a new House was built in Maid-Lane, and there are now about 70 Men and Women, and 50 Boys and Girls : They are employed in carding and spinning Wool for Mopp Yarn, and for Worsted, and knitting, under the Direction of a Master and Mistress ; and they very well answer the Expectation of the Overseers, who meet Weekly to inspect their Management. Maid Lane, now Sumner Street, lies just to the south of the river between Blackfriars and Southwark bridges. ...a spacious and convenient building, situated at the upper end of Pepper-street; this house was finished and rendered fit for the reception of the poor, and they were first removed into it, in the year 1777. The erecting it is said to have cost the parish five thousand pounds. The burying-ground adjoining to it was consecrated by Dr. John Thomas, bishop of Rochester, on the 27th of July, 1780. Defective as our poor laws certainly are, and harassing as it is to the unfortunate objects they were meant to protect, to be dragged from sessions to sessions, until a settlement can be ascertained by some distinction springing from the nicest refinement of legal policy, we may venture to pronounce it, at least, a comfort to those whom misfortunes have left to the protection of the public, to be here supported. From a view of this house compared with others, we were led to remark, that those who are able, are employed on work suitable to their ability, supplied with warm and very cleanly lodging, sufficient cloathing, and provisions of very good quality. The work rooms, which consist of various employments, winding silk, carding wool, coarse needle-work, &c. are under the inspection of persons employed for the purpose, but who belong to the house, and they seem to be conducted with decency and industry. The various accommodations are very convenient; the kitchen, dining-hall, and store-rooms are decent, cleanly, and adequately supplied with what is necessary. The bread consumed is baked in the house There is a neat committee-room for transacting parochial concerns. The committee consists of the six wardens before described as to their respective duties, eight overseers, and twelve principal inhabitants, some of whom regularly attend every Thursday evening, at six o'clock, and two of them attend in rotation on Tuesday and Saturday at twelve o'clock, to inspect the provisions and the general conduct of the charity. The committee of the commissioners under the clink paving act, also meet here on Wednesday evenings, at six o'clock. In the month of February, 1784, five hundred and thirty people were supported. in this house, but the general number is from three to four hundred. The sick are attended by a surgeon elected by the committee; the gentleman who now holds that office is a Mr. John White, and who was elected to it by a considerable majority in the room of Mr. Harrington, on the 10th of January, 1783. Divine service is usually performed here by the chaplains or their curates on Monday evenings. The present master of the workhouse is Mr. Benjamin Courtney; he is allowed a salary of 10l, per annum for his services, ,and was elected in 1792, in the room of Mark Cork, deceased. The matron, Mrs. Elizabeth Brown, was elected in the year 1788, and is allowed a salary of 2Ol. per annum. To these salaries are added considerable advantages arising from perquisites. It should be remarked, that the garden belonging to this house was part of a place of entertainment, some years ago, called Finche's Grotto Gardens, the rotunda belonging to which is still Handing on the outside of the garden wall, but it is not within this parish. To speak of the conductors of this charity with respect, is but justice; to say more at the present period would seem flattery. As we enter the door on the right hand, is the following table of rules and orders, proper to be here preserved. That every person admitted into this house, shall be employed in such business as the master or mistress shall direct, unless disabled by sickness or infirmity. That no person be admitted into this house, on idle visits or pretences. That if any person be guilty of swearing, drunkenness, scolding, quarrelling, or fighting, report be made to the next committee, in order to bring such offenders to punishment. That no spirituous liquors be brought into this house, on any pretence whatever. Every person admitted into this house, is required to attend to these orders, on pain of being discharged. The Pepper Street site was later occupied the headquarters of the London Fire Brigade. Former St Saviour's workhouse site, 1790s. 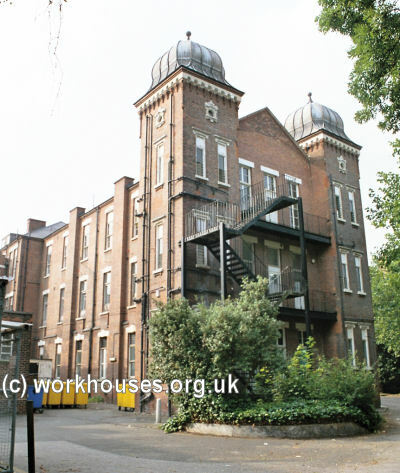 In around 1814, the parish opened a new workhouse at the corner of New Kent Road and Newington Road. In August 1817, the building, which was constructed entirely of wood, was destroyed by a fire. The fire had started in the flue of an adjoining gingerbread baker's. 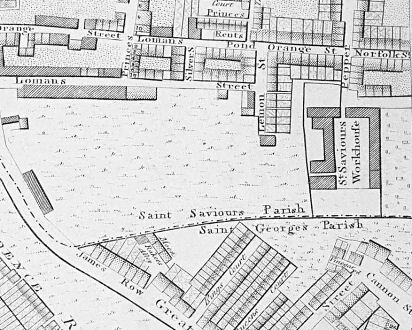 St Saviour's workhouse site, 1819. In 1777, the parish of Christ Church had a workhouse housing up to 150 inmates. By the 1790s, the workhouse was located on Marlborough Street, to the west of Blackfriars Road, where Southwark College now stands. Christ Church workhouse site, 1799. St Saviour's Poor Law Union was formally constituted on 11th February, 1836. Its operation was overseen by an elected Board of 17 Guardians representing its two constituent parishes of St Saviour's (9) and Christchurch (8). The population falling within the union at the 1831 census had been 31,711. The average annual poor-rate expenditure for the period 1833-35 had been £17,956 or 11s.4d. per head of the population. St Saviour's workhouse site, 1872. The buildings were in the shape of an inverted 'U'. The range at the east, facing onto Marlborough Street, included a workroom, dining-hall and kitchens. At the north side were the laundry and nursery, while along the west side facing towards Short Street, were male wards and a store room. 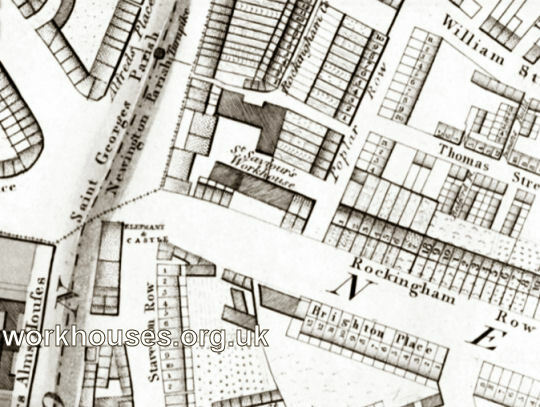 Although no female wards are marked on the 1872 map, they were presumably located somewhere at the northern end, although the drawing of the map may coincide with a reorganisation of the St Saviour's union and its accommodation (see below). In 1872, premises were also being used at the east side of Marlborough Street to house house a male infirmary, a dispensary, offices, and the Guardians' board room and. 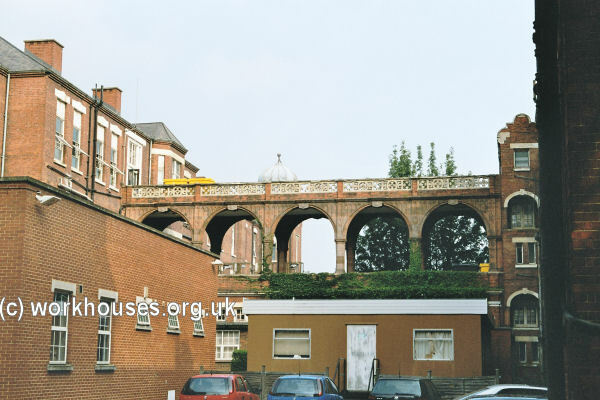 The former Marlborough Street workhouse buildings no longer exist. The site is now occupied by Southwark College. In 1869, the parishes of Southwark, St George the Martyr and Newington, St Mary were added to the St Saviour's Union which was then renamed the Southwark Union in 1901. The enlarged St Saviour's union took over Southwark's workhouse on Mint Street and Newington's workhouse on Westmoreland Road. 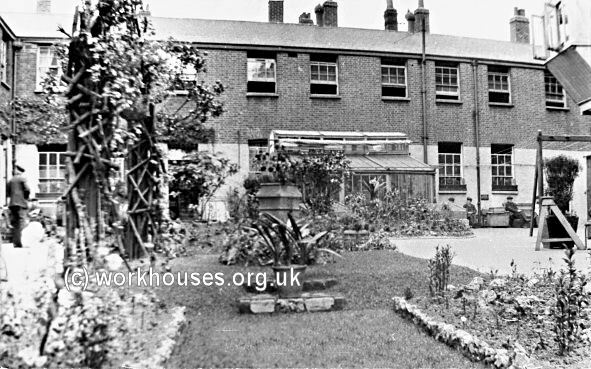 The Marlborough Street workhouse was then used for the infirm, with the able-bodied and healthy males being housed on the Southwark site, and able-bodied females at the Newington workhouse. The detached infirmary at Newington was also enlarged although, prior to its completion, a shortage of infirmary accommodation resulted in the union temporarily occupying the Magdalen Hospital on Blackfriars Road which housed around 150 inmates. The population of the area covered by the enlarged union had been growing rapidly since the 1850s resulting in the overcrowding of its workhouses. In addition, the passing of the Metropolitan Poor Act in 1867 resulted in the need for the union to separate its infirmary accommodation from the main workhouse buildings. In 1871, plans were made to erect an infirmary outside the union area near Peckham Rye Common, but this scheme was eventually abandoned. Instead, in 1881, St Saviour's was given permission to purchase 6.5-acre site on East Dulwich Grove at Dulwich on which to erect an infirmary. Despite objections from local residents, from the Lord Mayor, and from Sir Henry Bessemer and Charles Barry (respectively the architect and surveyor to Dulwich College), the project proceeded. The foundation stone of the building was laid on 25th June 1885. The buildings, designed by Henry Jarvis, opened just under two years later on 13th April, 1887. 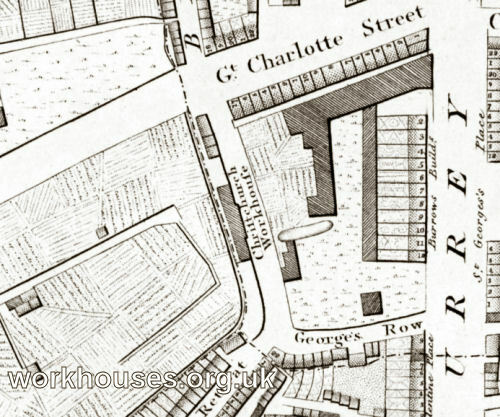 Its location and layout are shown on the 1914 map below by which time it had become known as Southwark Union Infirmary. St Saviour's Infirmary site, 1914. Jarvis's design was a typical pavilion-plan layout of the period with a central two-storey administrative block at the centre flanked at each side by two three-storey double ward blocks. As usual, the ward blocks were oriented roughly north-south so as to make best use of the available sunlight. A condition of the union's purchase of site had been that the exterior of the buildings should be designed 'with a view to producing a pleasing effect'. As a result, the infirmary buildings have rather more architectural character than is usually found in such institutions. A porter's lodge and receiving wards lay to each side of the entrance to the site on East Dulwich Grove. The administrative block had two projecting wings at the front, the one at the left containing the medical superintendent's quarters, and the one at the right containing the matron's apartments, committee room and other offices. Kitchens and scullery were located the rear, and a large chapel placed on the first floor. The ward blocks comprised a total of 24 wards, twelve for men and twelve for women. As well as the main patients' area, each ward included small separation wards, a day room, and staff rooms. Bathrooms and water closets were placed in sanitary towers at the far end of each ward, with a balcony placed in between with enough room for several beds to be wheeled onto them. The wards were heated by a mixture of hot water pipes and open fireplaces. The ward blocks and administrative block were connected by a three-storey connecting corridor, with the upper two storeys left open to the fresh air. There was also an underground tramway on which trolleys transported coal. A detailed description of the buildings appeared in The Builder magazine in February, 1887. ST. SAVIOUR'S UNION INFIRMARY, CHAMPION HILL. This infirmary has just been completed, and will shortly be opened. It is situated in East Dulwich-grove, near the Champion-hill station on the London and Brighton Railway, and is for the sick poor of the parishes of St. Saviour and St. George-the-Martyr, Southwark, and St. Mary, Newington, which three parishes constitute the St. Saviour's Union. The buildings stand on a piece of ground about seven acres in extent, having a frontage of 700 ft. towards East Dulwich-grove. The sick wards are arranged as shown on the block plan, with their axes placed north and south, the main front of the building, shown in the illustration, facing East Dulwich-grove. Accommodation is afforded for about 732 inmates. There are twenty-four large wards, to hold from twenty-six to thirty beds each, and twenty-four separation wards for two beds each, for cases which require isolation. The open balconies at the ends of the wards are large enough to allow of three or four patients being wheeled in their beds on to them. The warming of the wards is partly provided for by two double open fireplaces in the centre, with descending flues carried through the floors, and by fresh air brought from the outside through zinc tubes to the backs of the fires, where it is warmed before passing into the wards. In addition to these fireplaces there are two rows of hot-water pipes down each side of the ward. Gratings under each bed, with sliding traps, admit fresh air, which in winter is warmed as it passes over the hot pipes. There are six three-light gas pendants in each ward, having enamelled iron hoods which direct the products of combustion, and also the vitiated air from the wards, into tubes placed transversely above the ceilings. Each end of these is open to the air, and has a balanced flap, which closes at whichever end there is an inward pressure of air, leaving the other end open to allow of the egress of the heated air. The wards have glazed brick skirtings, 3 in. high, all round, and the floors will be waxed. The water-closets at the ends of the wards have Omer D. Ward's " Household" closets, with water-waste preventing cisterns. The baths are of porcelain, and are detached from the walls, with a space of a few inches between them and the floor. The floors of the bath-rooms, water-closets, and lobbies, are paved with red tiles. There is a dado of glazed bricks, in cream and brown bands, round the walls. The lavatories in the bath-rooms were supplied by Messrs. Finch & Co., of Holborn. Cannon's hot-water radiators are placed in the bath-rooms, lobbies, and water-closets. Each of the ward blocks has an hydraulic bed lift, and two hand-power lifts for food, &c., manufactured by Messrs. Clark, Bunnett, & Co., of Deptford. Advantage has been taken of a fall in the ground from west to east to construct the end block (D), with a basement story of open piers and arches, allowing a free circulation of the air beneath the ground floor. The connecting corridors between the administrative block and the several ward blocks are 9 ft, wide. They are at the ground, first, and second floor levels. The ground-floor corridors are enclosed, but have large windows, the sashes of which will open. The first-floor corridors are open, with an arcading at the sides to support the floor of the corridor over. The piers and arches of this arcade are of ornamental cement concrete, specially manufactured by the Imperial Stone Company, East Greenwich. The floors of the corridors are paved with asphalte. On the ground floors they have a border, on each side, of red tiles, about 2 ft. wide. The corridor on the ground floor of the administrative block is paved with ornamental tiles. Beneath the ground-floor corridors are lower ones, partly underground, extending from the coal-cellars to the ward blocks. In these are placed the gas, water, and steam mains, where they are more easily accessible than if they had been buried in the ground. There is also a tramway, of 20-in. gauge, for trolleys to convey coals, &c. By this means not only will a great saving of labour be effected, but the dirt and inconvenience arising from the passage of dirty clothes, coals, &c., through the building will be avoided. The administrative block is central. The west wing is the medical superintendent's house. It is connected with the main corridor on the ground-floor only. The east wing contains the committee-room, with bedrooms over for the matron, assistant matron, head nurses, &c. In the central portion of this block are situated various offices for the superintendent, clerks, and stewards, and matrons' sitting-rooms. Over these is the chapel. It is 70 ft. long, 28 ft. wide, and 28 ft. high to the apex of the ceiling, which is of plaster, wagon-shaped, and with ornamental wooden principals. There is a panelled dado of painted wood, 4 ft. high, round the walls. The west wing at the rear of the administrative block contains the stores on the ground floor, and in the east wing are the nurses' mess and day rooms. The basement, which extends under the centre and the two wings, contains extensive cellarage for beer, coals, &c., and larders. The kitchen is in the centre at the rear of the administrative block, on the ground-floor level. The cooking apparatus consists of four large steamers, a Warrenizer, two gas roasting-ovens, and gas hot-plates, soup and tea coppers, vegetable steamers, open range, &c. Bedrooms for about seventy nurses and servants are placed on the first and second floors of the east and west wings at the rear of the administrative block; these bedrooms are entirely detached from the main block. Communication with it is provided in case of fire by light iron bridges on the second floor. The laundry buildings consist of an officers' wash-house, 25 ft. long, 16 ft , wide, with laundry, 25 ft. by 21 ft. The patients' wash-house is 40 ft. long, 25 ft. wide. Adjoining it is a double drying-closet, containing thirty-two horses; and beyond is the laundry, 53 ft. long, 25 ft. wide; there is also a small wash-house for foul linen. Attached to each of the patients' wash-houses is a room for receiving the dirty clothes, and a delivery-room. Attached to each of the laundries are airing-rooms for the clothes. The steam washing-machines, wringers, and calendering machine, steam mangles, &c., were manufactured by Messrs. Clements, Jeakes, & Co., of Great Russell-street, Bloomsbury, who also supplied the cooking apparatus. The Boiler House adjoins the laundries. There are three "Lancashire" steam boilers, each 26 ft. long and 6 ft,. 6 in. diameter. The chimney-shaft is about 70 ft. high; it is octagonal, 5 ft. diameter at the top, and sands on a base 7 ft. square. There are two of Marshall's horizontal engines, 12-h.p. each. Hot water is laid on to all wash-up and slop-sinks, and to lavatory basins, the supply being obtained for them from Dudley steam water-heaters, which are placed in specially-constructed chambers under each ward-block, the steam being conveyed to the heaters from the boilers in pipes placed in the subways ; the steam-pipes are coated with asbestos. The water-supply will be obtained from an artesian well, sunk by Messrs. Baker & Sons 200 ft. into the chalk which underlies the site at a depth of 90 ft. from the surface. The water will be pumped from the well into cisterns at various parts of the building, and also into two large cast-iron tanks, holding 8,000 gallons each, which are placed in the towers of the administrative block, to form a reserved supply of water for use in case of fire. Hydrants are placed in all the wards and on the landings of the stairs adjoining them, also in the corridors of the administrative block. The drains have been laid in straight lines, with manholes at intervals for access and for admitting fresh air where practicable. The foul air from the main sewers in the streets is cut off by Kenon's intercepting traps and ventilated manholes. There is a flushing-tank at the head of the main drain at the back of the building. All the soil-pipes are fixed outside of the buildings, and to insure a constant circulation of air in them they are open at the top and at the feet, just above the traps into which they discharge. The waste-pipes from baths, sinks, &c., discharge over open trapped receivers, and are carried above the eaves of the roofs, with open ends. The receiving wards are situated close to the entrance-gates in front of the building. They contain two wards, — one for males and one for females, — with attendants' rooms, clothes stores, bath-rooms. There are also two padded rooms lined with india-rubber padding supplied by Messrs. Pocock & Co. The porter's lodge adjoins the entrance-gates, and contains an office, parlour, and bedrooms for the porter. Blenheim telephones are fitted in the medical Superintendent's house, the centre of each floor of ward blocks, and at various other points in the building. Externally the walls are faced with Leicester red bricks with dressings of Ancaster stone ; there is a wrought-iron railing along the front towards East Dulwich-grove. The contracts for the building, the engineers' work, and the laying cut of the grounds, have been carried out by Messrs. Kirk & Randall, of Woolwich, at a total of about 86,0001. The gasfitter's work was executed by Mr. Clarke, of Moorgate-street; City, at a cost of 1,063l. Mr. Davis has acted as clerk of works, and Messrs. H. Jarvis & Son are the architects. During the First World War, the hospital was taken over for use as a military hospital. 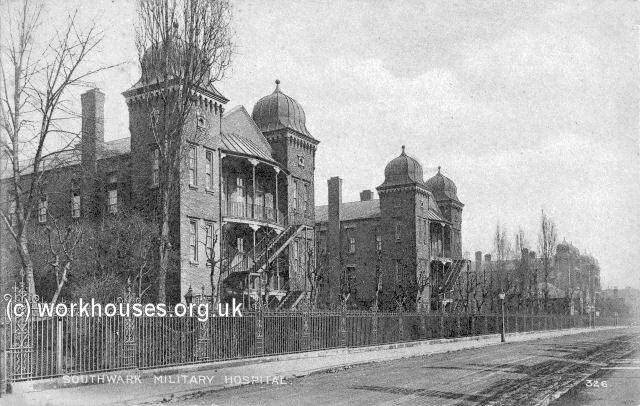 Southwark Military Hospital from the south-east, c.1915. 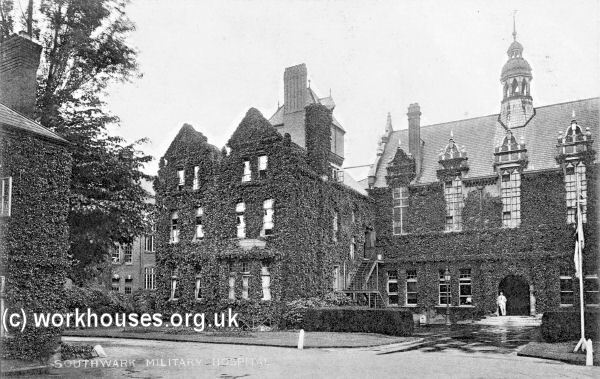 Southwark Military Hospital from the south-west, c.1915. Between about 1921 and 1931, the hospital was known as Southwark Hospital. In 1930, control of the site passed to London County Council who renamed it Dulwich Hospital and extended the facilities with new operating theatre, pharmacy, boiler house and chimney stack. 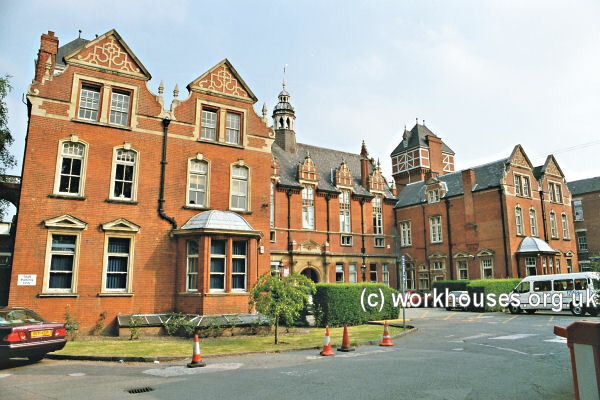 The nearby St Francis' Hospital, the former Camberwell Union's Constance Road Institution, became Dulwich Hospital North Wing. A subway was built under the railway that separated the two sites. In 1948, the hospital joined the newly formed National Health Service. 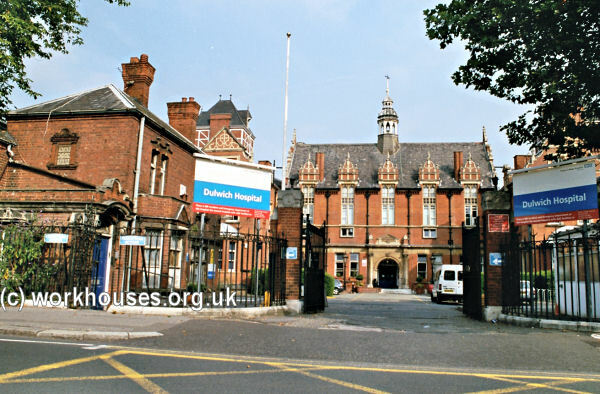 In recent years, the hospital has operated under the name Dulwich Community Hospital. The future of the buildings on the site is uncertain, with the eastern wing of the hospital having already been demolished. 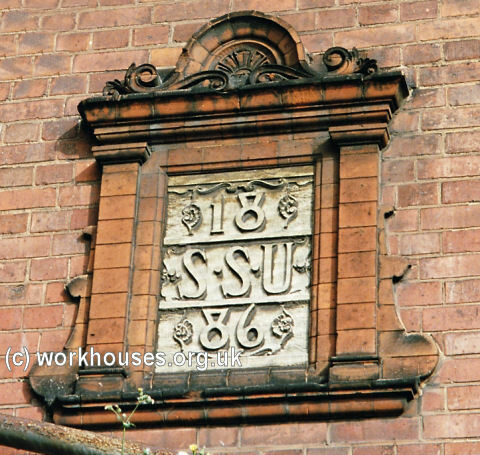 The St Saviour's Union established children's Receiving Homes at 173 South (now Dawes) Street, Walworth, and at 193-200 Boyson Road, Walworth. In 1924, they had a combined capacity of 43 places. London Metropolitan Archives, 40 Northampton Road, London EC1R OHB. Holdings include: Guardians' minute books (1836-1930). 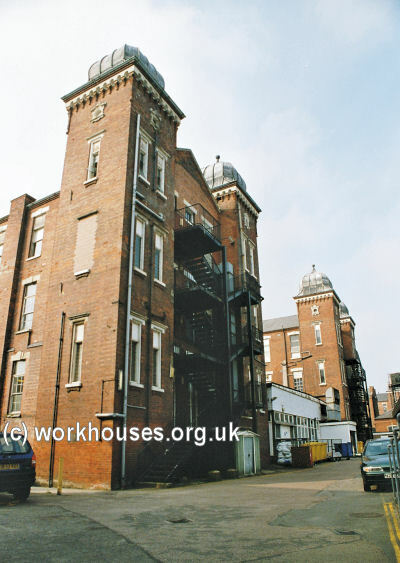 Marlborough Street workhouse: Births (1848-94); Deaths (1848-1938); Creed register (1856-1938); Admissions and discharges (1840-57, 1871, 1903-38); etc. The Builder 26th February 1887.